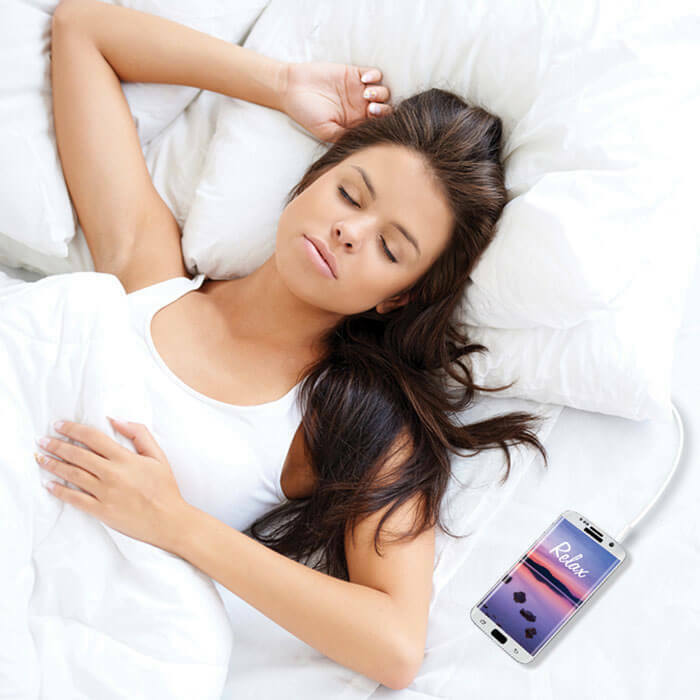 The Sound Asleep Pillow - sleeping in just became a lot more fun with no need for headphones! This unique Sound Asleep Pillow requires no headphones as there is a speaker built inside pillow. More comfortable than headphones with the soft hollowfibre filling, you cannot feel the speaker inside. It's ideal, as only you can hear your personal sounds, so your partner can sleep in peace. 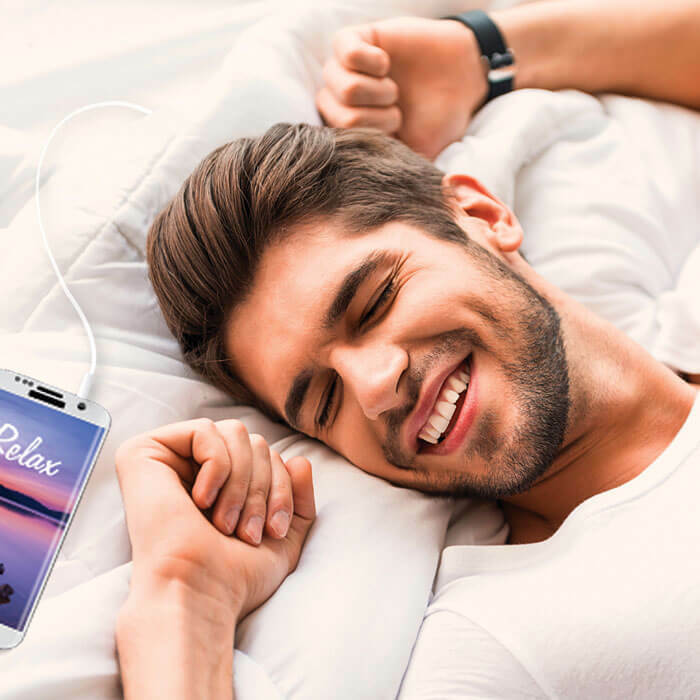 It allows you to drift off to your favourite music and not be woken up later by the noise of your stereo as the sound pillow will stop playing once your selected songs end. People who experience tinnitus can use the sound pillow to create a background noise, which can help them fall asleep. Some insomniacs can benefit from the soft sounds of music or relaxation tracks. The Sound Asleep Pillow has a number of uses like listening to audio books or learning a foreign language, relaxation or self-help tracks, additional comfort whilst listening to music or the television in bed without disturbing your partner. It's also ideal to take on long journeys for a comfortable source of entertainment, in the car, train or plane and other passengers will not be disturbed.It requires a music source, such as your MP3 player, radio, as long as it has a 3.5mm stereo plug to connect the pillow to. The pillow will not emit any sound until it is connected to your device. 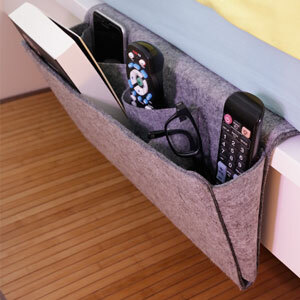 The cable is removable to keep the pillow tidy and safe when it's not in use. Although you cannot machine wash the sound pillow, it can be wiped clean and air dried.